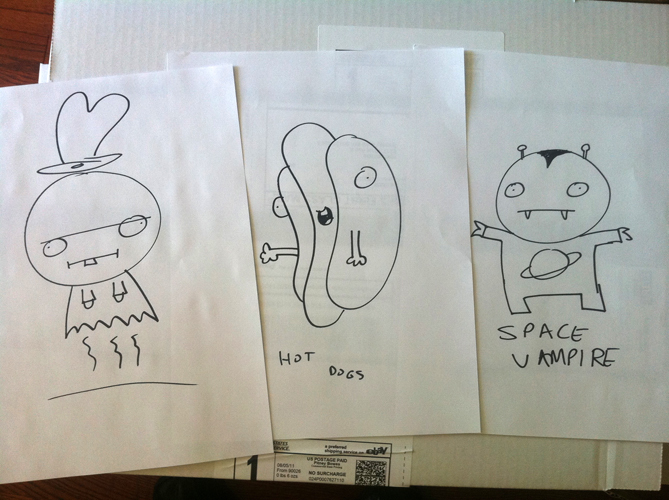 So I’ve been doing these little sharpie doodles on pieces of printer paper to shove into recent shipments from the $Z.99 store. 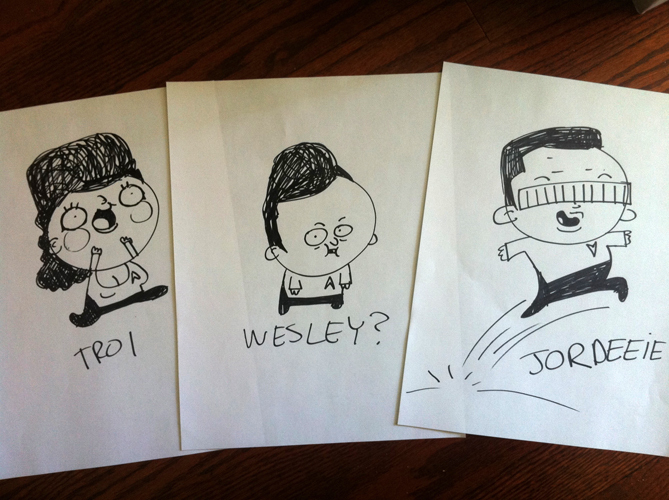 Right now they’re being sent off with Bioshock prints and JR Goldberg’s Mutiny of the Flesh screen prints. 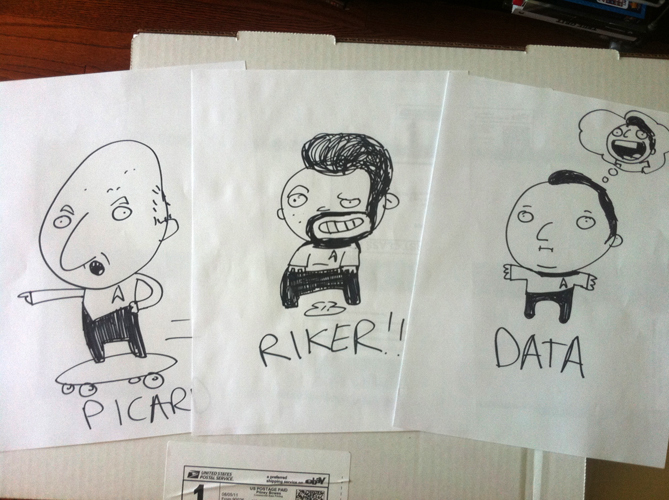 So most people are getting whatever pops out of my head like the stuff up above, but a very select few will get some of the finest Star Trek fan art ever made by my barely human hands. It’s kind of like a Golden Ticket to see the Chocolate Factory, only there’s really no prize other than the ticket, or in this case, an almost lifelike reproduction of a Star Trek:TNG character. Even I’m amazed that this stuff came within me. 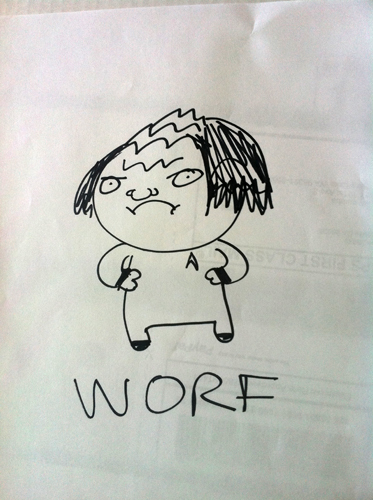 It’s just incredible stuff, but nothing, I say NOTHING, comes anywhere close to the heart-busting beauty that is this Worf drawing. I’d watch my back if I were you, whomever is lucky or cursed enough to get this drawing, because people will be after this piece and they’ll stop at nothing to get it. GOOD LUCK. This entry was posted in fine things, nonsense, works and tagged $Z.99, hot dogs, star trek, worf on August 6, 2011 by Jhnen VEE.